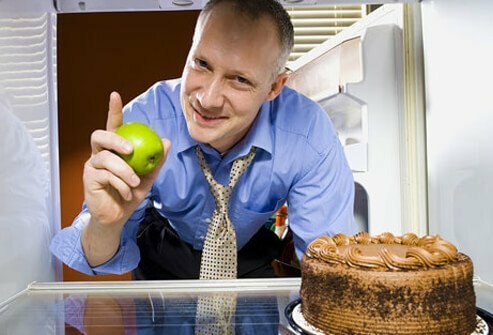 Men's Health: What Foods Improve Male Health? Should men eat differently? As a man, staying healthy means eating mostly what’s good for anyone—more fruits, vegetables, whole grains, lean meats, and low-fat dairy products. But there are some subtle differences between healthy diets for men and healthy diets for women, even though we share 98.5% of our DNA. In the following slides, learn some foods you can form a healthy diet around as a man. You will find out why certain foods play special health roles in a man’s diet for prostate problems, staying lean, and putting on muscle. There are even some in the list that may help your bedroom performance. If you closed your eyes and imagined a meal made for a man, there’s a good chance you’d dream up an imaginary steak. Men eat a lot more protein than women on average. And for the most part, all that additional protein is healthy. If you want to watch your weight, protein may be a better choice than carbs because your body spends more calories burning protein. It also helps build and retain muscle mass. 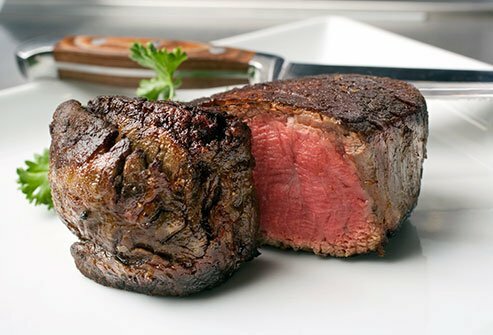 The key is to have lean red meat in small portions and not eat it daily. But not all protein is equally healthy. The healthiest proteins are low in fat, and some cuts of red meat fit this bill, including lean cuts of beef and pork. What’s more, the amino acid leucine is found in red meat. That’s important because this is the amino acid responsible for building and maintaining muscle mass. However, there’s reason to exercise caution when it comes to red meat. In some men, an abnormal gene can cause the high iron content of red meat to leave deposits in your vital organs. On the other hand, women need additional iron to make up for what’s lost during their periods. Cherries are delicious, no doubt. They’re healthy too. 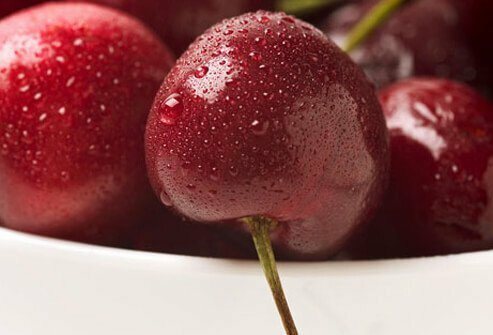 Cherry pigment contain anthocyanins, and these chemicals are anti-inflammatory. Both sweet and tart cherries contain these special pigments, though you’ll find more of them in the tart variety. Cherries can be powerful against gout, too, which affects more men than women. One major study showed if you’ve suffered from a gout flare-up in the past, chances of future flare-ups are reduced by half by eating 10 cherries a day. Wait—I thought this was a health article. It is! Dark chocolate in reasonable amounts is associated with a few positive health outcomes. Though the science is still being weighed, some signs suggest dark chocolate could help reduce your blood pressure, increase circulation, and keep bad cholesterol down. Of course, that doesn’t mean you should toss your health foods and head straight for the candy aisle. Chocolate candy is still candy, and it should be enjoyed in moderation if you want to stay healthy. How much chocolate consumption is considered moderate? Aim for no more than one ounce a day. Crazy about crab? Do you love clams, oysters, and shrimp? 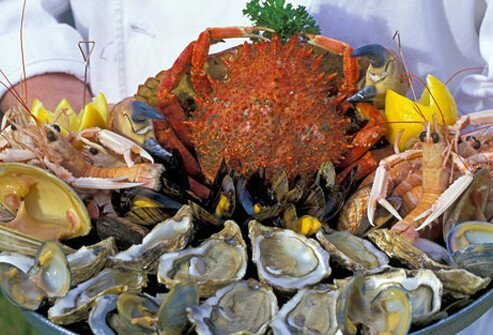 Shellfish are low-fat, low-calorie, high-protein foods that are good for anyone’s diet. Men, however, may experience additional benefits thanks to zinc. Zinc is found abundantly in shellfish. The highest zinc offering of all comes from oysters, which pack 445% of your recommended daily value of zinc into just three ounces. Zinc is required to produce sperm, and it seems to drive up testosterone levels as well. It also helps your prostate, where zinc is found in greater amounts than anywhere else in the body except bone. If you become zinc-deficient, your chances of an inflamed or enlarged prostate increase, as well as your risk of developing prostate cancer. Men, take note: avocados were named after you. Or rather, a certain part of you. The word comes from the Aztec word for testicle, “ahuakatl.” Maybe that’s why this creamy green fruit has developed a reputation as an aphrodisiac. Whether or not it deserves that reputation, avocados do have several valuable health benefits. Just like nuts and olive oil, avocados are high in fat. But don’t worry—it’s the good kind. 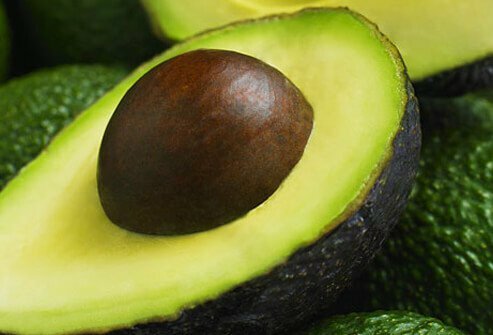 Avocados help raise good cholesterol (HDL) while lowering bad cholesterol (LDL). They do this with omega 3 fat, the source of ¾ of their calories. They also have plenty of antioxidants, which help reduce cell damage, especially in the dark green part of the flesh nearest the rind. Use some caution, though, and don’t overconsume avocados—they’re fairly high-calorie. Want to stop the no. 1 killer of men in the United States? 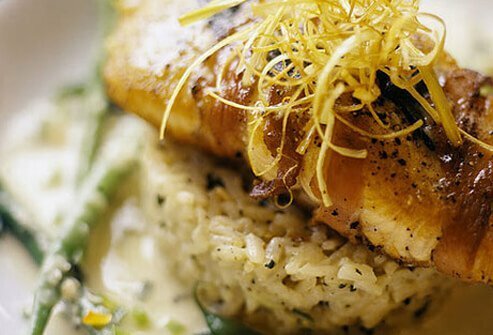 Eat more fatty fish, like salmon, halibut, and sardines. These fish come loaded with omega-3 fatty acids, which are known to lower your risks of heart disease. 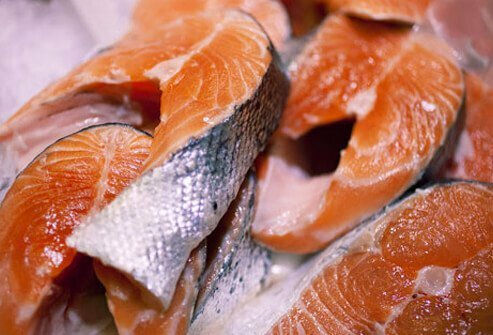 There are other ways to get omega-3 fats into your diet. But for men, fish is the safest bet. That’s because plant-based sources, such as those found in canola and flaxseed oils, have been linked in some studies with elevated risks of prostate cancer. If you stick with fish, you need not worry. 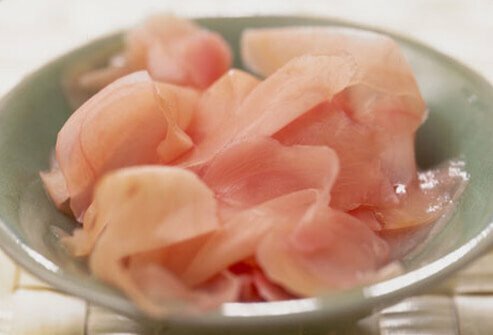 However, you should be careful not to consume too much tuna, marlin or sailfish, for example, as they can contain high levels of mercury. Do your muscles ache after a workout? Maybe your back is sore when you wake up in the morning. If painful, tired muscles are causing problems for you, you may want to consider ginger. Ginger is anti-inflammatory, just like ibuprofen. It reduces swelling and even has some painkilling effect. In one study of patients with arthritic knees, concentrated ginger extract was shown to reduce their stiffness and pain by 40% over a placebo. Adding ginger to your meals, though, may not be enough. The amount of concentrated ginger used in the above study was 255mg, twice a day. That’s equivalent to about 9 gallons of raw ginger. To get that much, your best bet is to find capsules of concentrated ginger. While ginger seems to be good for sore muscles, its benefits don’t stop there. Ginger is also known to relieve nausea. So, the next time you feel ill, consider making a tea by pouring 1-2 tsp fresh, grated ginger into a pot of boiling water. It is even being studied as a potential weapon against prostate cancer. 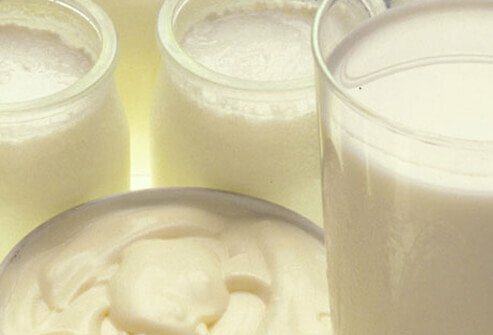 Just like meat, yogurt and milk whey contains leucine. That’s the amino acid that helps you build muscle. Dairy products don’t have as much leucine as meat, though. Also, be careful not to consume too much dairy. Guys need less of the stuff than women, for whom dairy helps prevent osteoporosis. In fact, consuming too much calcium may actually be harmful for men. Men who got more than 2,000 mg of calcium per day stood a greater risk of advanced prostate cancer according to one study. That’s quite a bit of calcium though—you’ll find 305 mg in a cup of milk, and daily amounts of calcium up to 1,200 mg didn’t show any additional risks for men. If you love dairy and want to avoid getting too much calcium, vitamin D may offset these risks. Ever have a Charlie horse? These painful muscle spasms can erupt seemingly out of nowhere. But getting enough potassium into your diet could prevent them. Enter the banana. 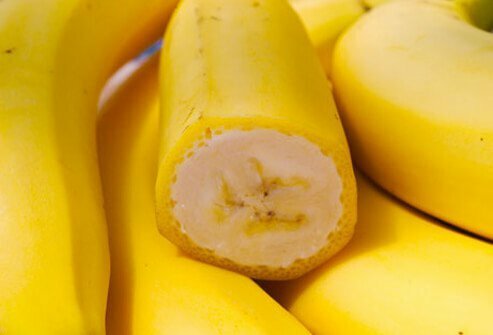 Bananas are jam-packed with potassium, which is also good for your bones. And if you’ve been diagnosed with prehypertension or high blood pressure, potassium could be as important as reducing your sodium to get your blood pressure numbers down. Love nuts? Tree nuts come with some tremendous benefits, and pistachios are one of the star players. 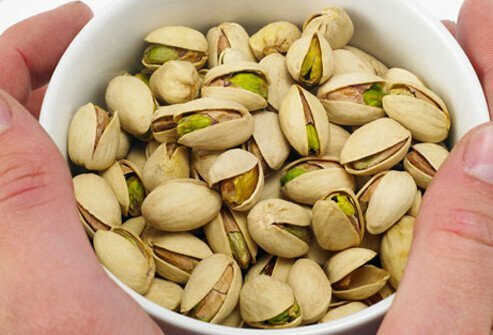 Pistachios are higher in plant sterols than other tree nuts, making them a good choice for lowering cholesterol. They also add protein, zinc, and fiber to your diet. What’s more, eating enough pistachios could give you more reliable and longer-lasting erections. That may because of arginine, an amino acid that causes your blood flow to increase throughout your body—including where it counts in the bedroom. 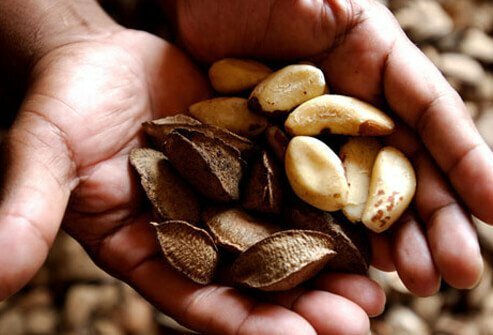 Brazil nuts are large, flavorful tree nuts that pack an incredible amount of selenium. Selenium is a trace element that is crucial for human life. It’s found in lots of foods, but by far the greatest source of natural selenium is found in brazil nuts. Just six to eight of these nuts provides 544 micrograms of the stuff. The nearest food competitor—3 ounces of yellowfin tuna—yields only 92 micrograms. Selenium plays an important role in your body’s immune system. If you find yourself getting sick frequently, it may help. In addition to fighting off colds, this chemical is necessary for male fertility. So, if you want to become a father, you may want to pack a handful of brazil nuts in your lunch. Do you like lycopene? If you’re a fan of tomato sauce, you’re getting plenty of it. Tomatoes are naturally loaded with lycopene, which may help prevent certain types of cancer. Although the research is inconsistent, some studies have found that frequent tomato sauce eaters have a lower risk of prostate cancer. One meta-study examined 26 other studies with more than 500,000 participants. That study found that the more lycopene a participant ate, the lower his risk was of developing prostate cancer. 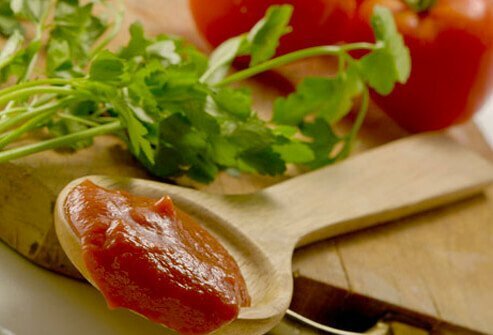 Beyond cancer, lycopene may have other benefits. It’s an antioxidant that has been associated with a smaller risk of heart disease, too. Heart disease is the leading cause of death in the U.S., killing more than half a million Americans each year. It’s possible that lycopene helps reduce thickness in the arteries. However, further research is needed on this topic. 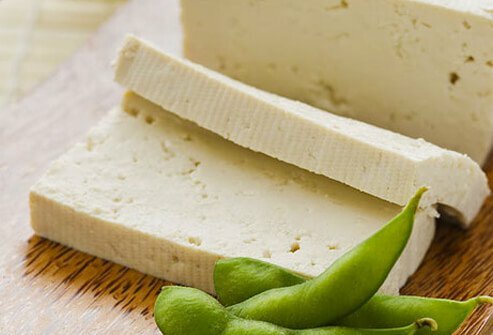 If you want more high-quality protein in your diet, consider foods made from the soybean, including tofu and edamame. It may also help ward off prostate cancer (one study only found this in men who ate tofu). Because of its unsaturated fats, soybeans are also considered a good way to avoid heart disease. As healthful as soybeans are for men, it’s worth taking some time to knock down some of the myths that have been spread about this food staple. Soybeans have phytoestrogens, plant chemicals similar to weak estrogen hormones. While men produce estrogen, women produce more. Some have worried that soybeans could cause male hormone-related reproduction problems as a result. However, studies have shown that men who eat a lot of soy are no less fertile than other men. Studies have also shown that soy seems not to increase any risk of erectile dysfunction. Vegetables are versatile, tasty, and some of the healthiest things you can eat. But relying on one or two of the same type of vegetable will deprive you of some of these foods’ best benefits. That’s why nutritionists recommend a mix of vegetables in your diet. The reason why mixed is best is that vegetables contain phytochemicals. Phytochemicals are thought to promote cellular health and may be useful at lowering your risk of cancer, too. But different colors of vegetables contain different phytochemicals. 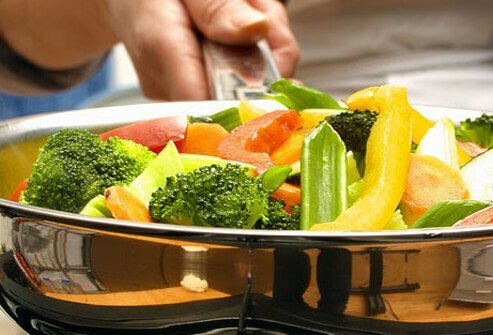 So eat a wide variety of vegetables of different colors for optimal health. Since different vegetables feature different phytochemicals, it’s wise to choose variety when you’re in the produce section. Orange vegetables offer lots of vitamin C, as well as lutein and beta-carotene. These are the nutrients identified in one study as reducing the risk of enlarged prostate. 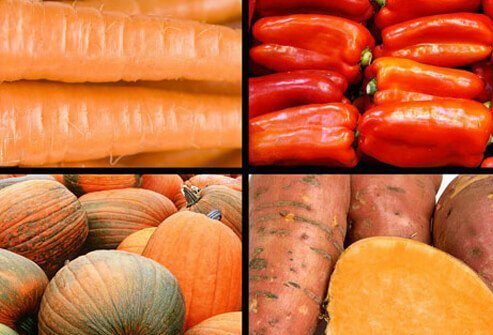 Think about this when shopping, and look for carrots, sweet potatoes, orange bell peppers, and pumpkins. 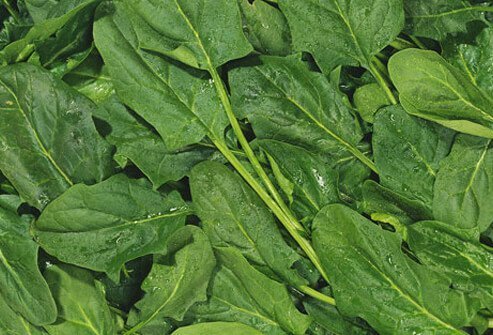 Maintaining a diet rich in leafy green vegetables helps men stay active longer. These include vegetables like spinach, chard, and kale. Why these veggies in particular? They have abundant quantities of the antioxidants lutein and zeaxanthin. These two antioxidants have been associated with better vision. They can be found inside your eyes, and studies show that having lots in your diet protect your eyesight. You may be able to see better, particularly at night. You also stand a lower risk of developing cataracts with lots of these in your diet. 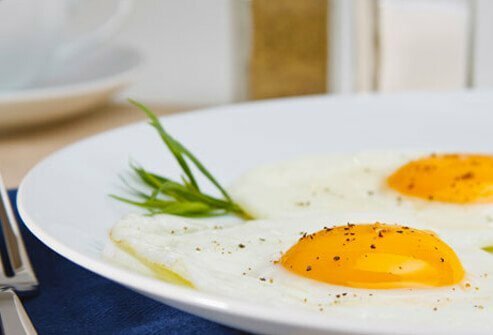 Eggs are a tasty, nutritious way to add protein to your diet. One large egg packs six grams of protein, and 63 mg of potassium into just 78 calories, along with lutein, an antioxidant good for your skin and vision. Nutritionists have gone back and forth over the healthiness of eggs. Most of that discussion centered around the so-called “bad” cholesterol, LDL. Eggs have plenty of cholesterol—about 200 mg per large egg. Eating cholesterol does raise the artery-choking cholesterol levels in your blood—but not by that much. Some estimates put it at 10%. The more worrisome culprits could be carbs and trans fats. And there are no trans fats in an egg, and only a mere .6 grams of carbohydrates. Most experts now agree that eating one egg per day is heart-healthy. 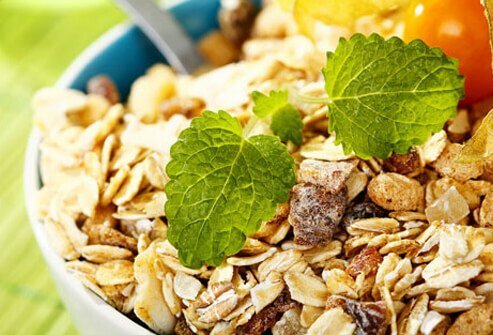 Are you eating enough fiber? The average man needs a lot—as much as 35 grams a day according to some estimates. One way to get more into your diet is by eating the whole grains found in nutritious cereals. We’re not talking sugary breakfast staples here—more like steel-cut oats and muesli. For high-fiber options in a box, look at the nutrition label on shredded wheat and raisin bran cereals and pick the healthiest option. Rice is one of the world’s most important foods. One-fifth of the calories we consume worldwide come from it. But white rice, although common, is not the most nutritious type. Brown and white rice both come from the same plant. But white rice is more intensely processed, leaving out the germ and the husk (also known as the hull or bran). It turns out that makes a big nutritional difference. Brown rice has more protein, fiber, and healthy omega 3 fat than white. It also has more B vitamins, calcium, and vitamin K. Brown rice is slightly more caloric. One study showed that by substituting white rice for brown, you can lower your risk of developing type 2 diabetes. Technically wild rice isn’t a rice at all. It comes from four different grasses. And it’s more nutritious than white rice. Wild rice has fewer calories, more fiber, and more protein. It also has much more zinc and phosphorous, minerals critical for well-functioning nerves and muscles. Since it’s lower-calorie with more fiber than white rice, it’s a better choice for achieving that ripped six-pack. All berries are good for your health. They’re loaded with antioxidants, which help your arteries relax and may have anti-aging effects as well. But for men especially, blueberries are king. Blueberries have lots of vitamin K, which helps your blood clot, and plenty of vitamin C like most berries. But they also may help prevent or improve erectile dysfunction, a condition that as many as half of all men will experience in their lives. 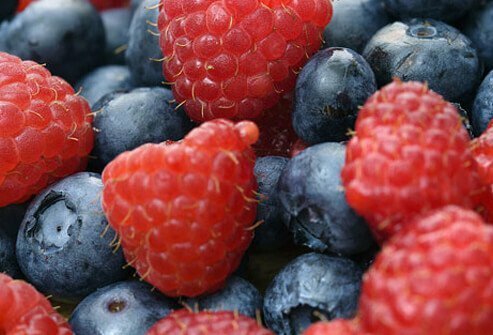 One study of more than 25,000 men found that those who ate flavonoid-rich foods, especially blueberries, were less likely to be afflicted with erection problems. Coffee was once considered risky. It can make your heart flutter, it can make it hard to fall asleep, and the WHO had it listed as a possible carcinogen. That picture has changed considerably. Coffee is now seen as a surprisingly healthy food. 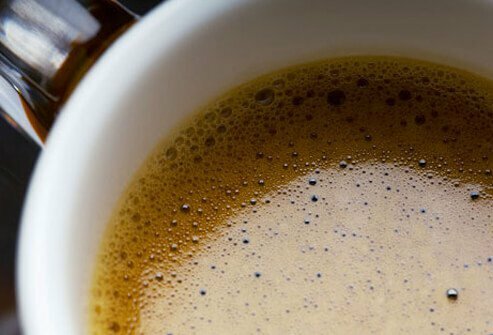 As the evidence suggests, drinking coffee in moderation (two to four cups a day) helps reduce your risk of an early death. Those who drank more coffee saw the greatest benefits. Coffee has also been associated with a lower risk of gout, cirrhosis, type 2 diabetes, heart attack, and stroke. The WHO also decided that it does not cause cancer. Talk about a turnaround! Eating healthy foods is the way to go. And adding these foods to your diet helps in more ways than one. As you find foods you love that make your body operate better, you’ll also tend to skip the foods you know aren’t healthy. That’s a solid approach to better health, and better than simply denying yourself unhealthy foods. By learning to love and appreciate the foods that keep you in good health, you’ll be setting positive eating patterns that will continue to pay off long after today. Arthritis Foundation: "Health benefits of ginger for arthritis." Arthritis Foundation: "How cherries help fight arthritis." Harvard Medical School: "Good nutrition: Should guidelines differ from men and women?" Harvard Medical School: "The latest scoop on the health benefits of coffee." Harvard T.H. Chan School of Public Health: "Eggs." How Stuff Works: "10 Benefits of Zinc for Men." International Journal of Preventative Medicine: "Anti-Oxidative and Anti-Inflammatory Effects of Ginger in Health and Physical Activity: Review of Current Evidence." LiveScience: "Avocados: Health benefits, risks, and nutrition facts." Medicine: "Lycopene and risk of prostate cancer: A systematic review and meta-analysis." New York Times: "Ask well: Why is arthritis more common in women than men?" Ohio State University: "Trouble with erectile dysfunction? Eat a pistachio!" San Francisco Chronicle: "Is soy bad for men’s health?" San Francisco Chronicle: "Nutrients in white vs. wild rice." San Francisco Chronicle: "Shellfish and zinc." Washington Post: "Erectile dysfunction? Maybe some blueberries can help."